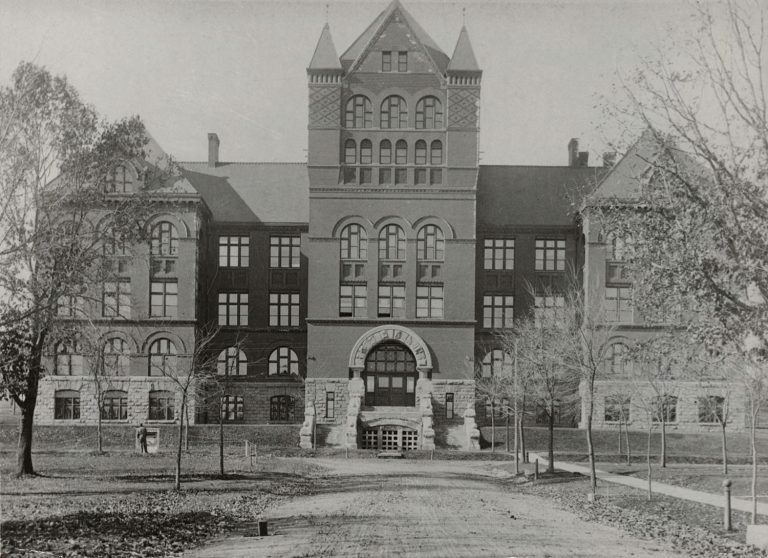 Governor Nelson Dewey includes a medical school in the newly created University of Wisconsin. With the hiring of Charles Bardeen, the university acknowledges the need to incorporate more human-related studies of anatomy and physiology in the pre-medical biology program. The two-year College of Medicine, consisting of the departments of anatomy, physiology, physiological chemistry and bacteriology and hygiene, is created; Bardeen is appointed dean. Classes are held in the in the attic of historic Science Hall and the old Chemical Engineering building. The two-year College of Medicine, consisting of the departments of anatomy, physiology, physiological chemistry and bacteriology and hygiene, is created. 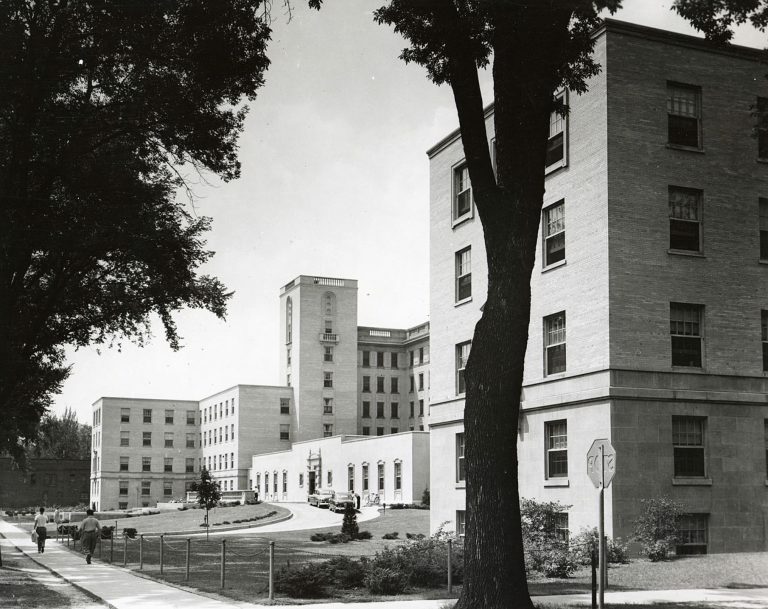 In response to the typhoid epidemic and to encourage the development of clinical services in Madison, Bardeen creates the Department of Clinical Medicine (Student Health Service). Other small hospitals on campus follow. 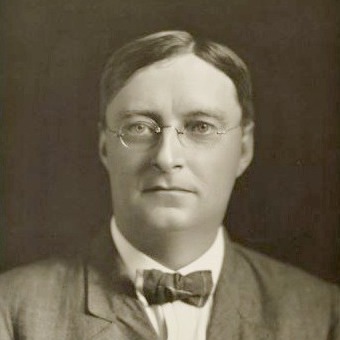 Dr. Frederick Allison Davis (F.A. Davis) is invited to Madison to join the future Davis and Duehr Eye Clinic in Madison, originally started by Dr. Corydon Greenwood Dwight. Surgical subspecialties (plastic surgery and orthopedics) are instituted at UW. Ophthalmology lives in the Surgery Department from now until 1970. 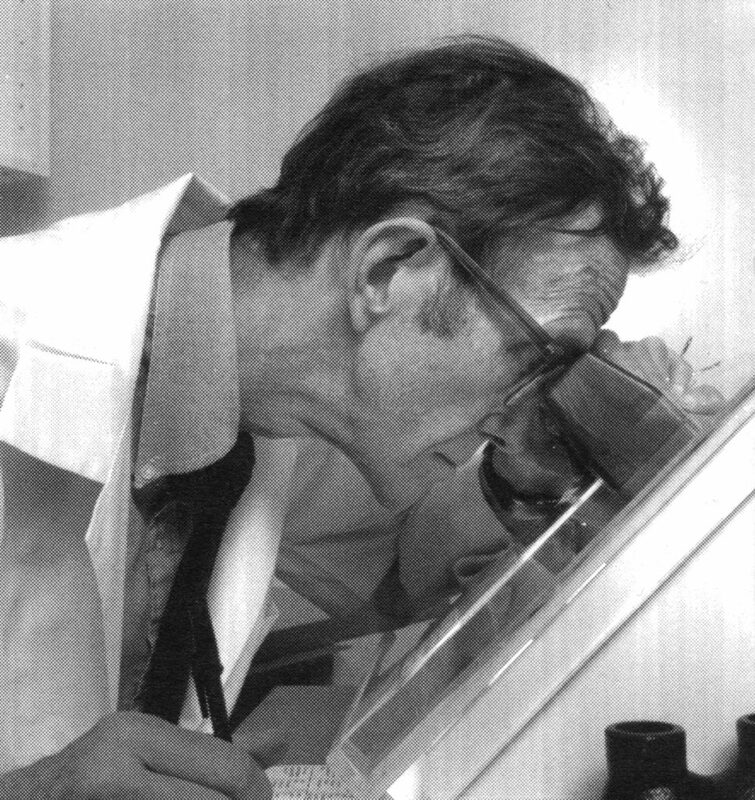 The first eye pathology lab established at UW. He led the Department until 1954. 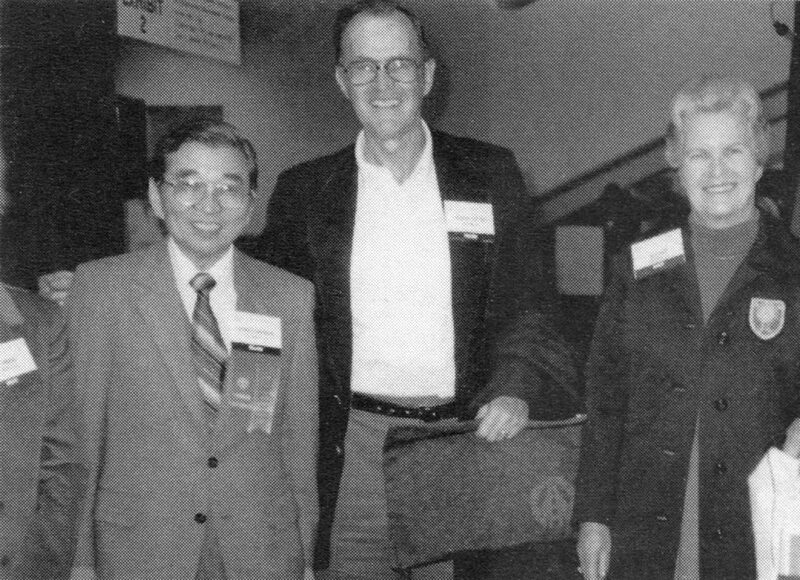 During those 29 years as Chair, he also developed a busy clinical practice (Davis, Neff and Duehr), published scientific articles (including his timeless paper on direct ophthalmoscopy), established Ophthalmic Pathology as part of the service, trained his successor and partner Peter A. Duehr (1932), married Edith Swenson, and fathered two daughters and two ophthalmologist sons, Frederick J. (Jeff) and Matthew D. (Dinny) Davis. Texas-born Frederick Allison Davis, MD, the Department’s first professor, and Chair, originally graduated from the University of Pennsylvania Medical School in 1909. He then completed his residency at New York Eye and Ear Infirmary and his postdoctoral training at Harvard, Pennsylvania and in London and Vienna. He led the Department until 1954. The school expands its curriculum to a four-year program after Wisconsin General Hospital opens in 1924. Lions Clubs International features Helen Keller as the guest speaker. Dr. Dwight retires, leaving the clinic in Dr. F.A. Davis’s capable hands. Nineteen men and six women become the first graduates of the University of Wisconsin Medical School's four-year program. Service Memorial Institute, abutting Wisconsin General Hospital, opens, serving as the School’s academic home. Scientific and clinical staff now work together collaboratively. Frederic Mohs develops a surgical technique to remove external tumors, such as mouth, lip and skin cancers while sparing normal tissue. Dr. Peter Alexander Duehr completes his 2-year residency in EENT and Plastics and then joins the Davis and Neff Clinic and University staff. 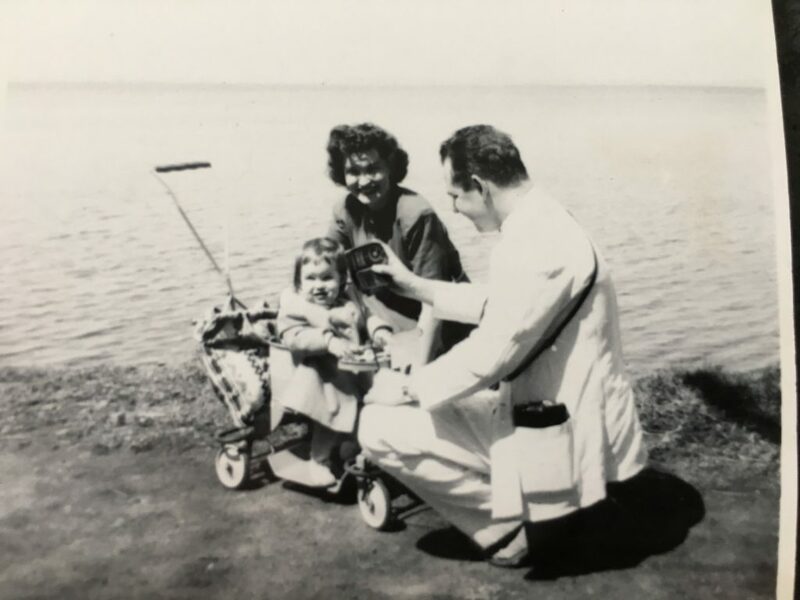 Dr. Peter Duehr completed his two year combined residency at UW and joined the Davis and Neff Clinic in 1934 as both a part-time clinical faculty member and a practicing ophthalmologist. 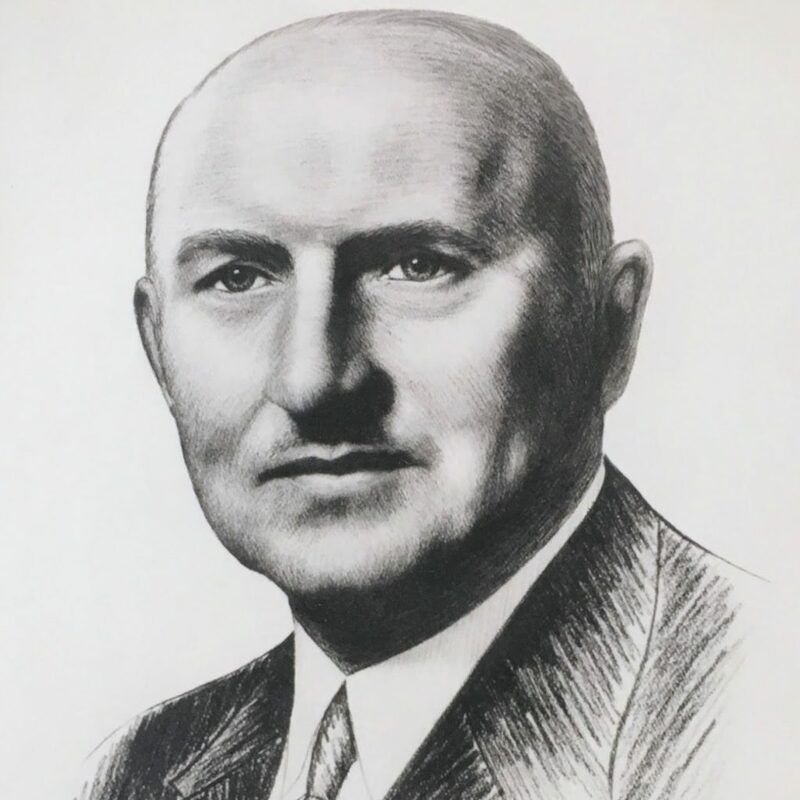 He inaugurated the era of specialization by adding services directed by a fellowship-trained retina specialist in 1956, followed by Glaucoma (1960), Neuro-ophthalmology (1961), and Oculoplastics (1968). Dr. Peter Duehr completed his two year combined residency at UW and joined the Davis and Neff Clinic in 1934 as both a part-time clinical faculty member and a practicing ophthalmologist. Dr. Ralph Stevens is the first EENT resident to graduate from the newly established 3-year program. Ophthalmology formally separated from EENT at the University of Wisconsin Medical School. George K. Kambara, MD, completed his residency in ophthalmology here in 1946. Although he graduated from Stanford Medical School in 1941, as an American-born Japanese (Nisei) he was caught up in anti-Japanese sentiment after Pearl Harbor and sent to the Tule Lake Relocation Camp (internment camp) in California. Shortly after WWII, Dr. Dwain Mings became Dr. Neff’s first 5-year preceptor at the Davis and Neff Clinic. Dr. George Corcoran was the first graduate of the 3-year program in Ophthalmology, followed 6-months later by Dr. Levon Yasugian. Both doctors had active practices throughout their careers. Dr. Peter Duehr becomes junior partner of Davis and (Neff) Duehr Clinic after Dr. Neff suffers a heart attack. Dr. Frederick A. Davis retires. Dr. Peter A. Duehr, beloved clinician and teacher, becomes the second Chair of the Eye Service. Alice R. McPherson, MD, graduates as the first female resident from the program. Dr. Matthew D. Davis completes his residency. Retina service specialization added as the first of several new sub-specialty training programs. After completing his residency, Dr. de Venecia received additional ophthalmologic pathology training at the Armed Forces Institute of Pathology, and in neuro-ophthalmology and glaucoma in Miami and Boston, respectively. Glaucoma service added as a sub-specialty training program. Dr. Duehr forges an affiliation with the Veterans Affairs Hospital with Drs. 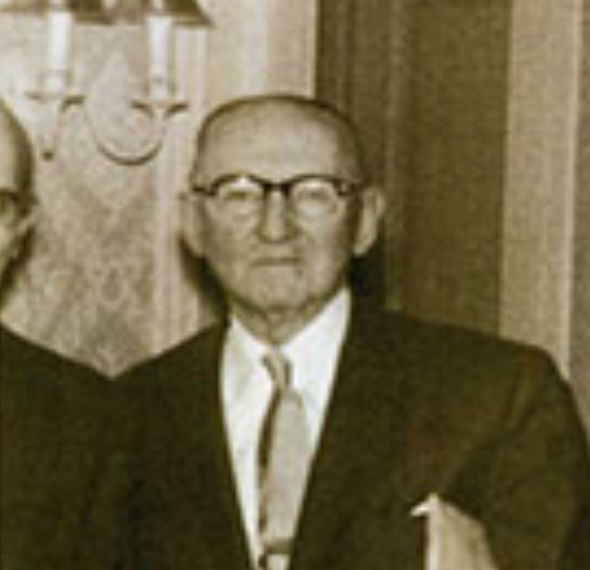 Fred Blum and Donald Peterson who were in private practice in Madison. The residency program grew from training one resident a year to two. On his own initiative, Dr. William Siebold completes his comprehensive eye residency through the VA Hospital and performed the first intraocular surgery there by a resident. Oculoplastics service added as a sub-specialty training program and Dr. Richard K. Dortzbach returns to Madison after a fellowship at the Eye Foundation Hospital in Birmingham, AL to head this area with the guidance of Frederick J. Davis. 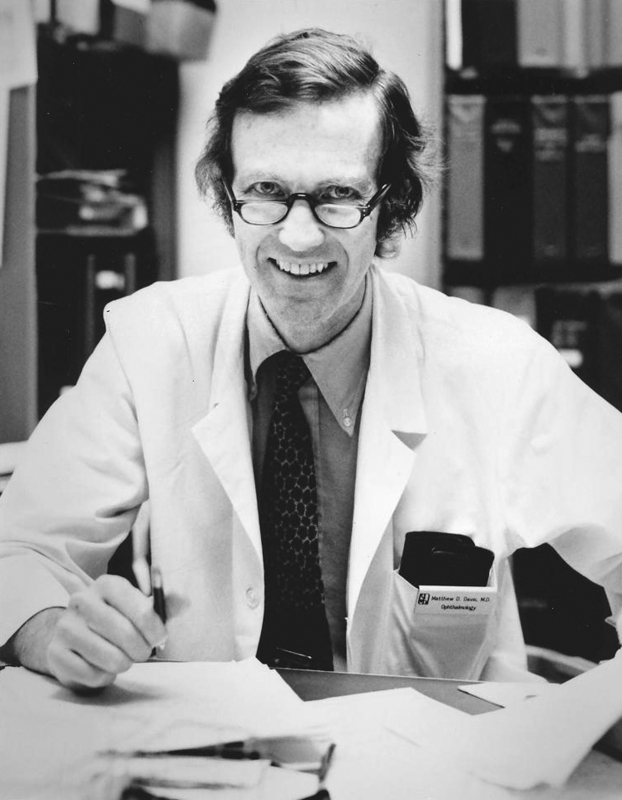 Dr. Davis’s major and enduring contributions to ophthalmology are pioneering collaborative multi-centered clinical trials and establishing the first ophthalmic photographic reading center at the University of Wisconsin-Madison. Dr. Matthew D. Davis leads as full-time Chairman of the Section of Ophthalmology and is instrumental in elevating the Ophthalmology Service to department status. Matthew D. Davis led this study because of his experience in evaluating the natural course of the disease. 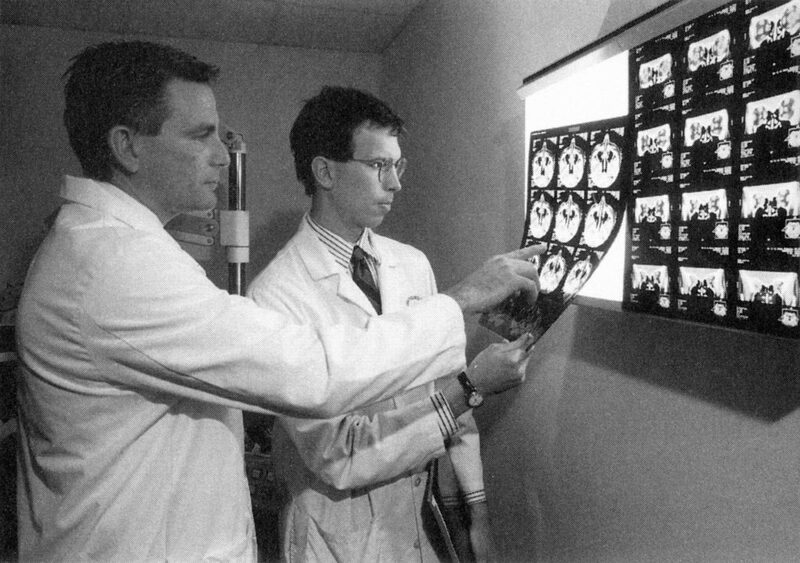 The Department of Ophthalmology is established as a standalone department within the UW Medical School. Pediatrics service added as a sub-specialty training program. Corneal and anterior segment service added as a sub-specialty training program. Dr. Peter A. Duehr retires. 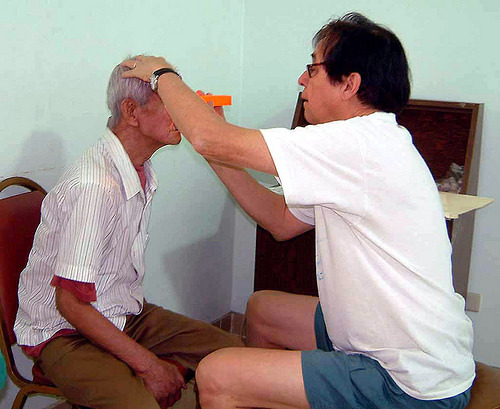 Dr. Guillermo de Venecia and his wife, nurse Marta de DeVenecia establishes the Free Rural Eye Clinic (FREC) in the Philippines to provide cataract surgery and other ophthalmologic care to indigent patients. The “follow up phase” of the Kleins' epidemiological study begins - they continue to track the duration of diabetes, the frequency of retinopathy and other genetic factors. The University Hospital introduces its first helicopter to better serve emergency care patients. Dr. John Chandler, a 1965 graduate, becomes the chairman of the Department of Ophthalmology. Dr. Matthew D. Davis receives the Award of Merit from the Retina and Macula Societies to acknowledge his outstanding contribution to national clinical studies of diabetic retinopathy. Dr. George Bresnick, a 20-year member of the department’s retina service, assumes the position of acting Chairman of Ophthalmology. Dr. Paul Kaufman pushes to change the department’s name to the Department of Ophthalmology and Visual Sciences to codify its research mission. Dr. Daniel M. Albert, an internationally recognized ophthalmic pathologist, becomes the first chair without previous ties to Wisconsin or the University. Dr. Albert successfully completes the research building initiative started by Dr. Chandler by opening the Ophthalmology Research Wing of the Clinical Sciences Center. Dr. Fred Brightbill and Chris Murphy, DVM, PhD, put on the first annual Resident Phacoemulsification (Phaco) Course at UW-Madison with 12 future physician and veterinary ophthalmologists. Dr. Albert successfully completes the research building initiative started by Dr. Chandler by opening the Ophthalmology Research Wing of the Clinical Sciences Center. The department holds its first Vision for the Future conference where more than 150 community members discussed the clinical, research and educational initiatives with faculty. Suresh R. Chandra, MD, receives the 1996 Humanitarian Service Award from the American Academy of Ophthalmology. Four new ophthalmologists are welcomed to the department - Patricia C. Sabb, MD (comprehensive ophthalmologist and assistant professor), Mark J. Lucarelli, MD (assistant professor and oculoplastics surgeon, Barbara A. Blodi, MD, and Justin L. Gottlieb, MD (retinal specialists and assistant professors). The Retina Research Foundation of Houston, TX (founded by Alice R. McPherson) establishes two chairs in support of basic vitreoretinal research. UW Health East and West Eye Clinics open to provide more access to care to the growing community and better serve patients. Dr. Matthew D. Davis steps down as Director of the Fundus Photograph Reading Center (FPRC), but continues conducting research. Dr. Ronald P. Danis, a recognized leader in conducting clinical trials at UW, assumes the direction of the FPRC. Wisconsin’s First Lady, Laurie McCallum, works with the department to raise awareness about glaucoma and discusses her experience with the disease. Dr. Albert steps down as Chair in 2002 and Thomas S. Stevens, MD, a Retina specialist who had served as Vice Chair for Clinical Affairs since 1990, becomes Interim Chair - serving in this position until 2004. Dr. David Gamm, the first dedicated stem cell researcher, joins the department, connecting it with other stem cell pioneers at the University of Wisconsin. Dr. Paul L. Kaufman, a Glaucoma specialist, and researcher who joined the Department in 1975 becomes Chair after a national search. The department welcomes Cat Nguyen Burkat, MD (oculoplastics), Sarah M. Nehls, MD (cornea and refractive surgery specialist) and Heather A.D. Potter, MD (comprehensive) to its growing team of clinicians. Congress passes the Dr. James Allen Veteran Vision Equity Act (H.R. 797), after seven years of tireless work by Dr. Allen and Congressional Representative Tammy Baldwin, to give veterans greater compensation if they lost vision in one eye during their service and later began to lose vision in the other eye. Dr. James Allen receives the Wisconsin Board of Veterans Affairs Lifetime Achievement Award for his efforts to better veteran care. Dr. Daniel Knoch receives the Resident Teaching Award, as selected by nine ophthalmology residents. Dr. David Gamm receives the Foundation Fighting Blindness Board of Directors Award for retinal degenerative disease research. Dr. Daniel Knoch is honored with the Outstanding Clinical Teaching Award. Drs. Barbara and Ronald Klein are awarded more than $3-million from the National Eye Institute to continue their long-range study of patients with Type 1 Diabetes. Dr. Daniel M. Albert is presented with the American Academy of Ophthalmology Laureate Award. Terri L. Young, MD, MBA joins the department, from Duke University after a nationwide search. Department recognized as national leader in the output of publications per faculty out of all ophthalmology programs in the US. Dr. Paul Kaufman receives the Friedenwald Award at ARVO.